When your engine hesitates during acceleration, it may seem to have lost its power for a few seconds. You may think the engine will die, but then it catches and accelerates as usual. Often, this happens at low speeds. Some call this momentary loss of power "stumbling," though this more accurately refers to an engine missing or jerking without losing power. Other components or systems can generate hesitation problems as well, although not as often. it is getting too little fuel. Here, you’ll find the common (and not-so-common) sources of hesitation problems to help you diagnose and, whenever possible, fix the problem. If your vehicle is equipped with a carburetor, head over to the last section. If a bad sensor is causing your hesitation issue, it may (or may not) trigger the check engine light (CEL). So, before you begin any diagnostic procedure, it is a good idea to scan the computer memory for trouble codes that can help diagnose the problem. If you don't have a scanner or code reader, take your car to a local auto parts store. Most will retrieve stored trouble codes without charge. 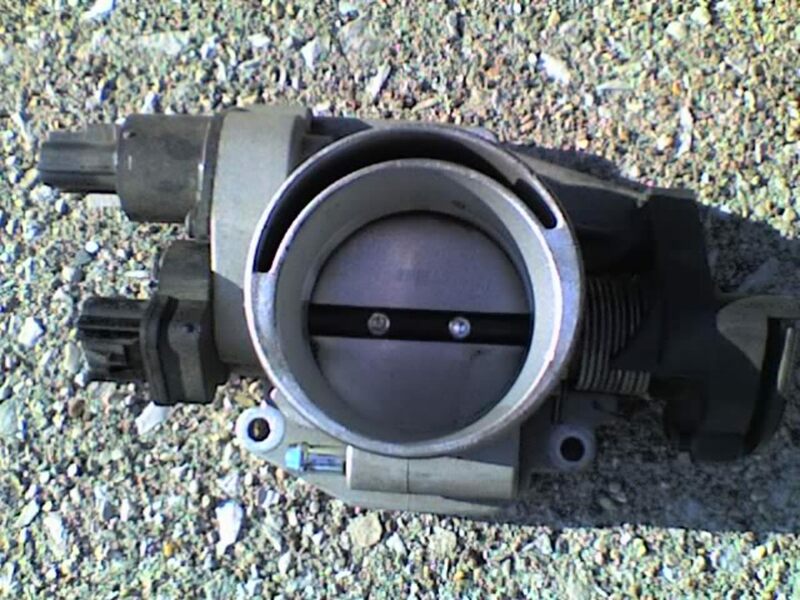 The engine control module (ECM, car computer) uses the throttle position sensor (TPS) to monitor the position of the throttle valve in the throttle body. The sensor helps the computer regulate the air-fuel mixture at any given moment during engine operation. You can find the TPS mounted to one side or inside the throttle body, depending on your particular model. 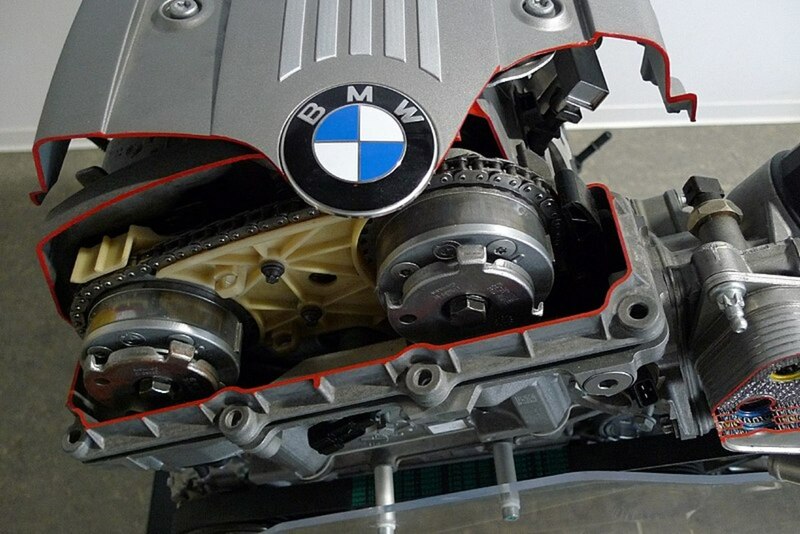 And it connects directly to the throttle valve shaft. Most position sensors use a variable resistor to change voltage output to the computer according to the throttle plate angle. 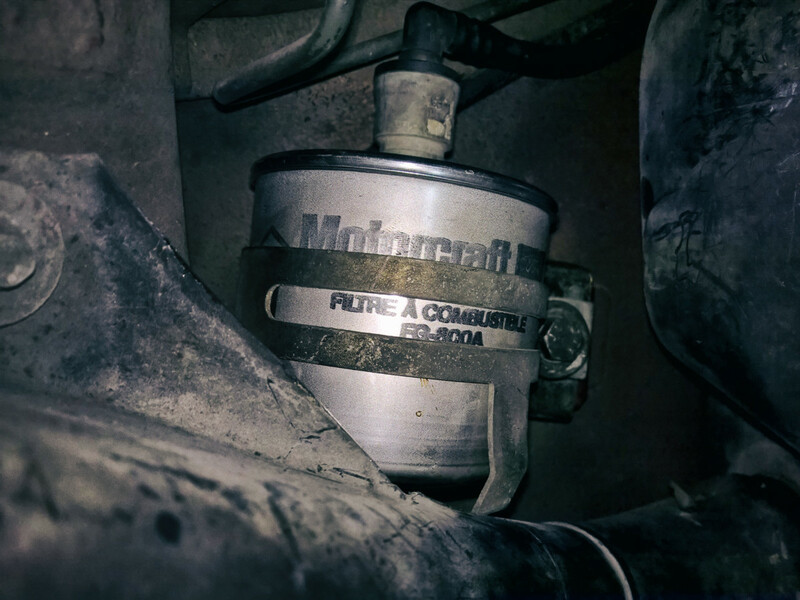 Thus, when the throttle valve is off its idle position, the computer knows how much fuel to add to the mixture. You can use the sensor's electro-mechanical configuration to know whether it is working properly. For this next test, you'll need a digital multimeter. If you don't have one, you can buy a quality, inexpensive one through Amazon, like this one. The TPS has three wires designated as supply, signal, and ground. You can determine each wire by using the multimeter or using the electrical diagram that comes with your vehicle repair manual. Set your voltmeter to 20 volts in the DC (direct current) range. Unplug the electrical connector from the sensor. Connect your voltmeter black lead to a good ground. You can use the negative terminal on your battery or a metal surface on the engine or unpainted bracket. Turn the ignition key to the On (run) position, but don't start or try to start the engine. Probe each terminal wire on the harness with the red meter lead. The voltage that remains steady (usually 5 volts) is the supply voltage. If there's no supply voltage, there's a short or open in that part of the circuit going to the sensor. To check for a signal voltage, you need to plug in the electrical connector back to the TPS. You can back-probe the remaining two wires to identify the signal wire (or use the electrical diagram that comes with your repair manual to identify the wire). If you can't back-probe the wires, you can unplug the harness connector, attach a thin copper wire to each of the terminal connectors for the wires you need to test, and plug the electrical connector back in so the copper wires hang out from the harness housing. But don't let the copper wires touch. Now turn the ignition key to the On (run) position but don't start or try to start the engine. Connect the meter black lead to ground and the red lead to each copper wire while you open and close the throttle valve with your hand. One of the wires should provide a signal voltage that rises smoothly from 1 to 5 volts and back to 1 volt as you open and close the throttle valve. 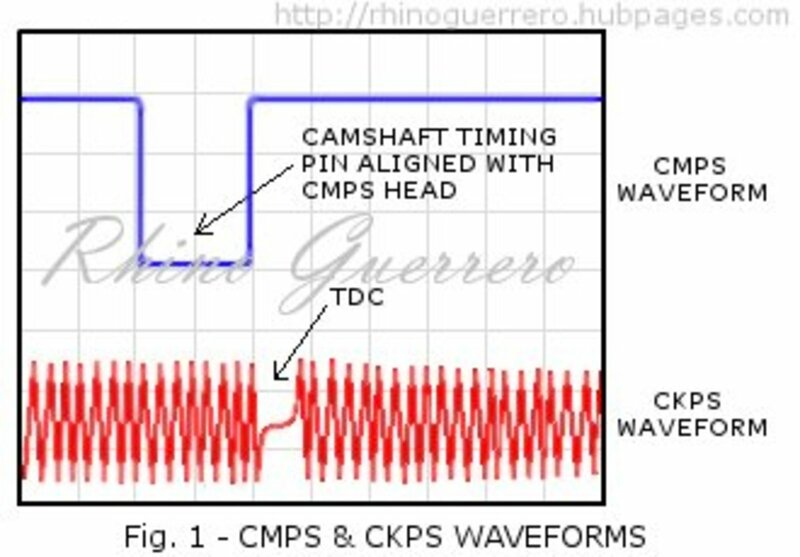 If the signal voltage doesn't increase or decrease smoothly, gets stuck, disappears or the voltage is not present, replace the position sensor. Note that some position sensors can be readjusted to operate properly. Consult your vehicle repair manual, if necessary. Turn the ignition key off and unplug the electrical connector from the position sensor. Identify the signal and supply wires using your vehicle repair manual. Set your meter to the "ohms" scale. Connect your meter leads to the terminals on the TPS that correspond to the signal and supply voltage when the harness connector is plugged in. Rotate the throttle valve with your hand while watching the display on your meter. The resistance should increase and decrease as you open and close the throttle valve. If resistance doesn't change, becomes stuck or jumps, or your meter reads infinite resistance, replace the TPS. Ignition system problems can also cause your vehicle to lose power, especially at low rpms. 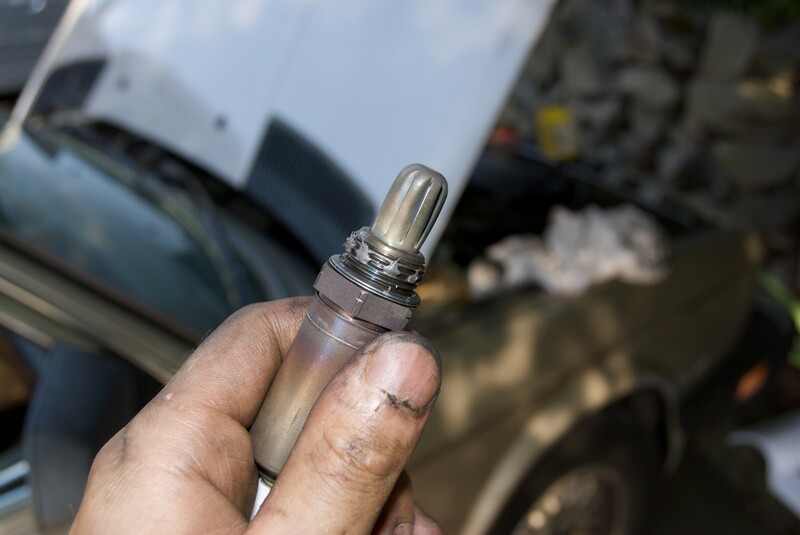 Check for worn-out spark plug wires, spark plugs, distributor cap and rotor if your model has them, and ignition coils. 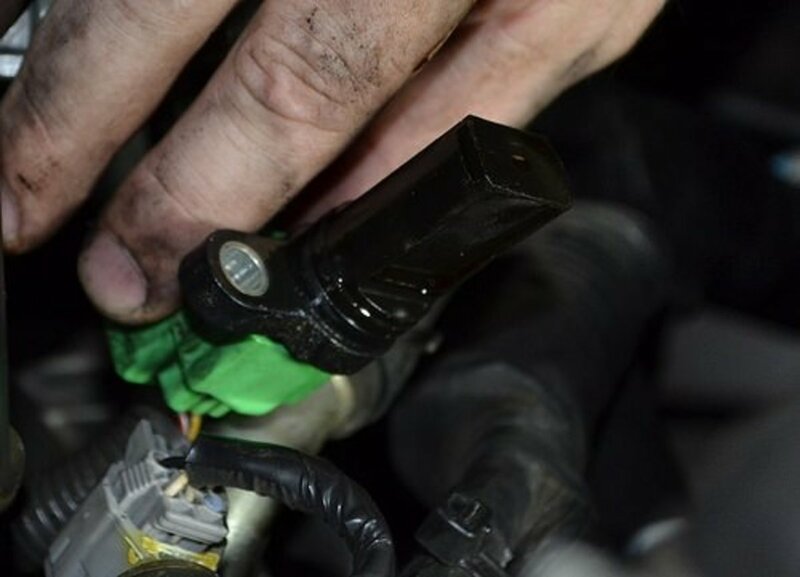 You can find spark plug wire resistance values, spark plugs gaps, ignition coil voltage specifications, and testing procedures in your repair manual. Most resistance spark plug wires have about 10,000 ohms of resistance per foot. Use your multimeter to check each wire. Consult your repair manual to check other system components, if necessary. Vacuum leaks may cause or contribute to a wide range of engine performance problems, including hesitation. In most cases, vacuum leaks are caused by loose, broken, disconnected, or deteriorated hoses, a failed intake manifold, or failed throttle gaskets. 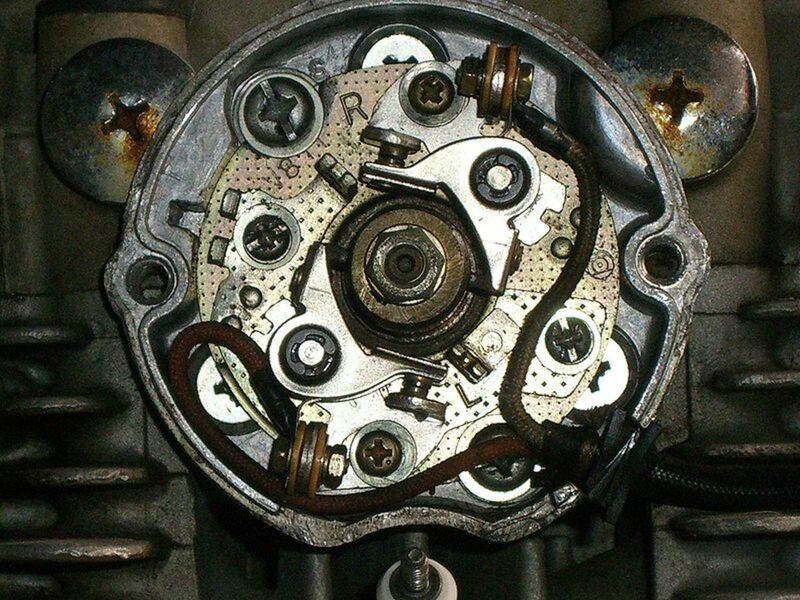 This type of failure can have an adverse effect at idle and low engine speeds. Check vacuum hoses, especially those used by sensors, for damaged or loose connections, and contamination (oil, coolant). A quick way to check the intake manifold and throttle body gaskets: Spray some carburetor cleaner around the gasket while the engine is at idle. If there's a leak, you'll notice a difference in engine idle. A fuel pump, fuel pressure regulator, or fuel injector with high mileage can develop problems like low fuel pressure, poor fuel flow and fuel leakages. Test for fuel system pressure using a fuel pressure gauge. Consult your vehicle repair manual for exact test procedures and specifications. Depending on your results, you may need to check fuel volume as well. Check the air and fuel filters: If you haven't replaced the filters according to your manufacturer's suggested schedule, replace them. Check the air filter against the sun or a bright light. If light can't shine through the filter, replace it. To check the fuel filter, relieve pressure from the fuel system (consult your vehicle repair manual) and remove the fuel filter. Blow through the filter in the direction of fuel flow. Air should pass without much difficulty, otherwise replace the filter. Fuel injectors can also become dirty, accumulate buildup, or develop internal mechanical or electrical problems. This may cause an injector to malfunction and cause the engine to hesitate. Sometimes, a quality additive treatment can be poured into the fuel tank to help clear the injectors. It is possible to diagnose injector operation and pulse width if you have a multimeter capable of reading milliseconds. Consult your repair manual. Other times, the injectors may require professional service. Consult the maintenance schedule in your car owner's manual or vehicle repair manual. 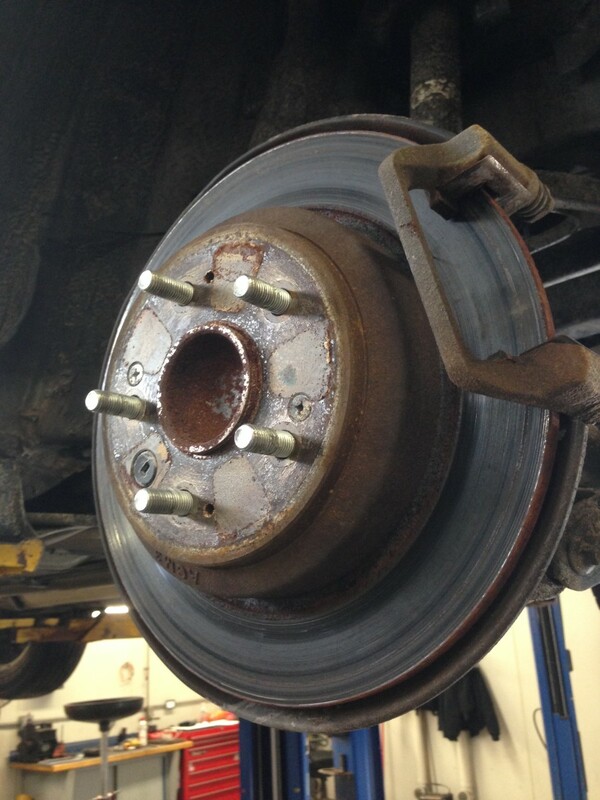 Many car owners forget to do maintenance at the required schedule until performance problems begin to show up. 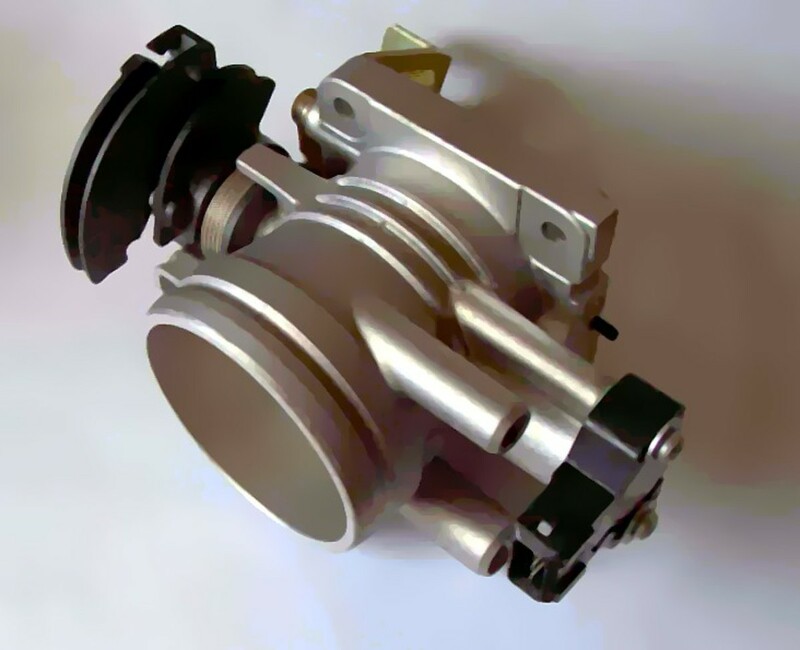 Over time, the throttle body can accumulate carbon buildup around the plate and bore, preventing the throttle valve from operating freely. Spray some carburetor cleaner on a clean shop rag. Use the rag to remove carbon buildup and grime from around the plate and bore. An engine whose timing is retarded, even by a couple of degrees, can appear to hesitate. Its power drops. You can check ignition timing using a timing light, and on vehicle models equipped with a distributor, you can adjust it. On other models, it is possible to adjust timing by moving the mounting base for the speed or crankshaft position sensor. Consult your repair manual. Below is the basic procedure for how to use a timing light to check the timing in your vehicle. Follow the procedure described in your vehicle service manual. Warm up the engine to operating temperature. Depending on your particular vehicle model, do one of the following: unplug the vacuum advance hose from the distributor, disconnect the switch from the ignition module, or remove the plug from the base-timing line. Connect the timing light to the battery and the spark plug wire for cylinder number one. Start the engine and aim the light at the timing notch in the crankshaft pulley, or the flywheel and clutch housing, depending on your particular model. 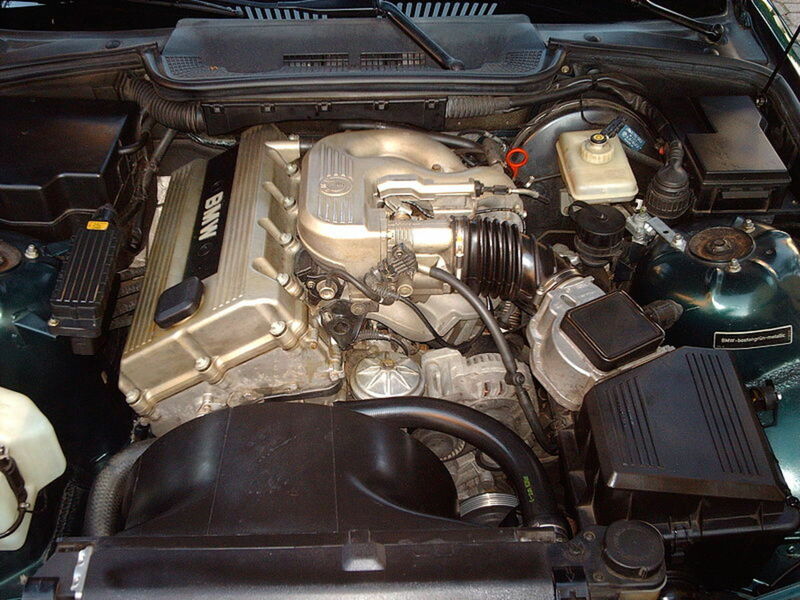 Compare your reading to the specification from the emission control label in the engine compartment or repair manual. 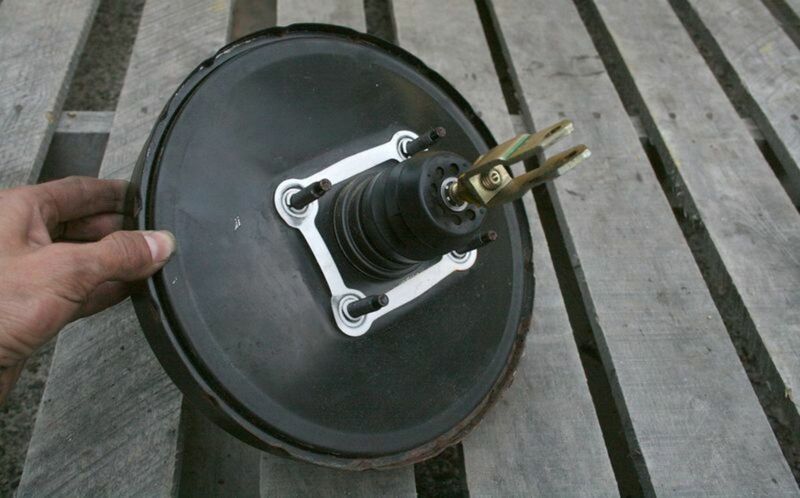 Loosen the distributor and rotate it right or left to adjust the timing, if necessary. On some models, you need to adjust the mounting base for the speed sensor or crankshaft position sensor. Again, check your vehicle repair manual for the detailed procedure for your particular model. Many European and Japanese cars, and now some domestic US models, come equipped with variable valve timing (VVT) technology. Problems with the VVT solenoids can sometimes cause hesitation. The computer uses VVT to adjust timing and control valve operation to improve engine efficiency. The exact VVT configuration may change from one model to another. If you suspect a problem with the valve timing, check your repair manual or take your vehicle to the shop for an inspection. The mass airflow (MAF) sensor is used by the computer to measure the amount of intake air flowing into the engine to keep the correct air-fuel ratio. A common MAF fault is a dirty sensing element, which can be cleaned with MAF sensor cleaner. Watch the next video for a guide on how to clean the MAF sensor. The sensing element may accumulate dirt from the air that flows through, but it can also be caused by a faulty self-cleaning circuit. Problems may come from the wiring itself or the relays that control the circuit. Keep this in mind when troubleshooting the sensor to avoid replacing otherwise good components. 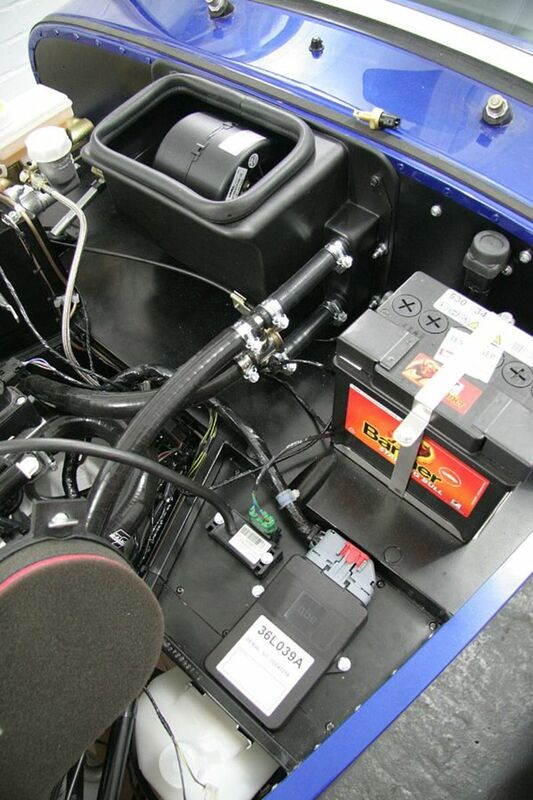 Consult your vehicle repair manual for the appropriate terminals to probe the sensor with your multimeter. At idle, a typical voltage output is within 0.6 to 0.8. When increasing engine rpm's to 2500 and 3500, output should increase to about 1.5 and 2.2. Otherwise, the sensor is faulty. If you have recently removed the air ducts from the air cleaner assembly, make sure the ducts are properly installed and the mounting clamps properly tightened. Unmetered air flowing into the engine can disrupt engine performance. Also, check for damaged ducts. Consult your vehicle repair manual for more information on troubleshooting your particular MAF sensor, if necessary. Some manufacturers recommend servicing or replacing the sensor after 50,000 miles or more. The manifold absolute pressure (MAP) sensor measures barometric pressure (air pressure) relative to intake vacuum. The computer adjusts spark advance and air-fuel mixture based on engine load. Basically, a low load (high vacuum) means a lean air-fuel mixture, a high load (low vacuum) a rich mixture. Old models with a distributor may use a vacuum advance, and carburetor models a power valve, for this purpose. Problems with the MAP sensor commonly cause more symptoms than just a loss of power: for example, detonations, misfire, poor fuel economy, hard start, or stalling. 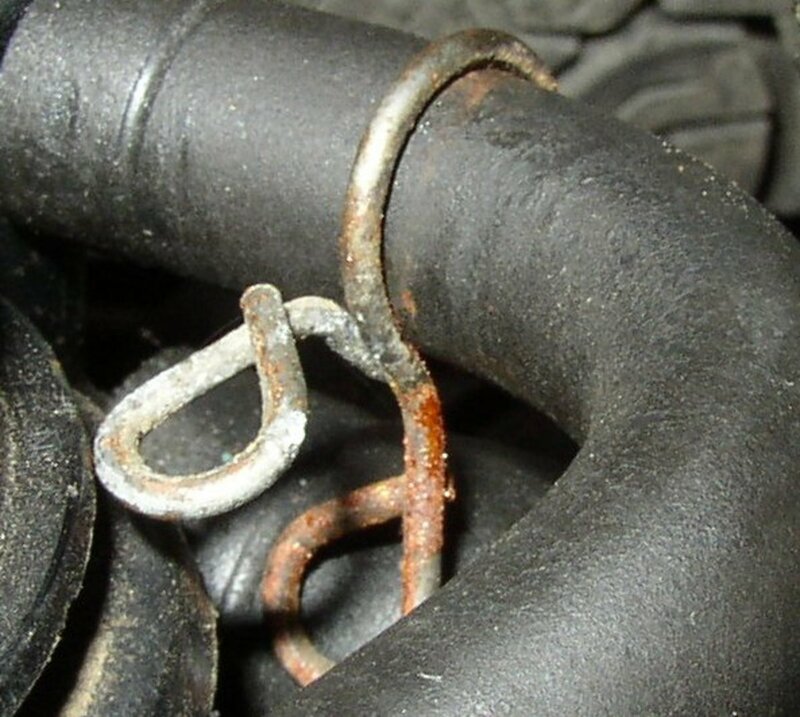 When troubleshooting a MAP sensor check first the condition of the sensor vacuum hose and the electrical wiring. You can also check sensor operation using a DMM (multimeter) and a hand-held vacuum pump. Common voltage readings would be around 4 Volts with 0 in-Hg of vacuum applied to the sensor; about 3.75 Volts with 5 in-Hg (inches of mercury); and about 1 Volts with 20 in-Hg applied to the sensor. Consult your vehicle repair manual for sensor specifications and diagnostic procedures for your particular application. The oxygen sensor (O2 sensor) measures the amount of oxygen in the exhaust stream and produces a proportional voltage signal. The more oxygen flowing by the sensor's tip the lower the voltage signal; the lower the oxygen content, the higher the voltage signal. The O2 sensor's signal ranges from 0.1 to 0.9 volts. The computer uses this voltage signal to adjust the air-fuel ratio. The sensor can fail because of carbon buildup. Usually, carbon buildup is due to a rich-running condition. This may come from a malfunction in the fuel injection system or a carburetor in need of adjustment. Other possible sources of malfunction include problems in the ignition system (fouled spark plug), leaking exhaust manifold gasket, a bad sensor circuit, or the sensor itself. Connect the red test lead from your DMM to the signal wire (consult your vehicle repair manual, if necessary) and the black test lead to ground. Do this when the engine has reached operating temperature. Idle the engine and be careful with moving or rotating components during the test. Also, be careful with the hot exhaust system surfaces. An oxygen sensor produces a fluctuating signal between 0.1 and 0.9 volts. Read the cycling signal voltage for about a minute to make sure the sensor is working properly. Then, disconnect a vacuum hose to increase oxygen content. The sensor should produce a signal of about 0.2 volts. If your results vary, the sensor may not be operating correctly. Consult your vehicle repair manual, if necessary. Exhaust gas recirculation (EGR) system problems can also cause hesitation problems. Usually this is caused by a vacuum leak at the EGR valve or a faulty component in the system, depending on your particular model. 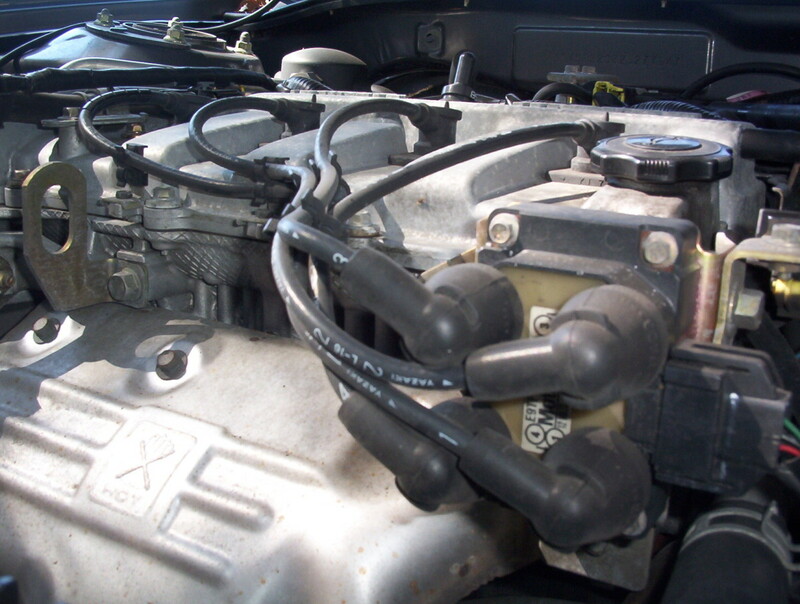 You can check the EGR valve following the procedure described in this article. 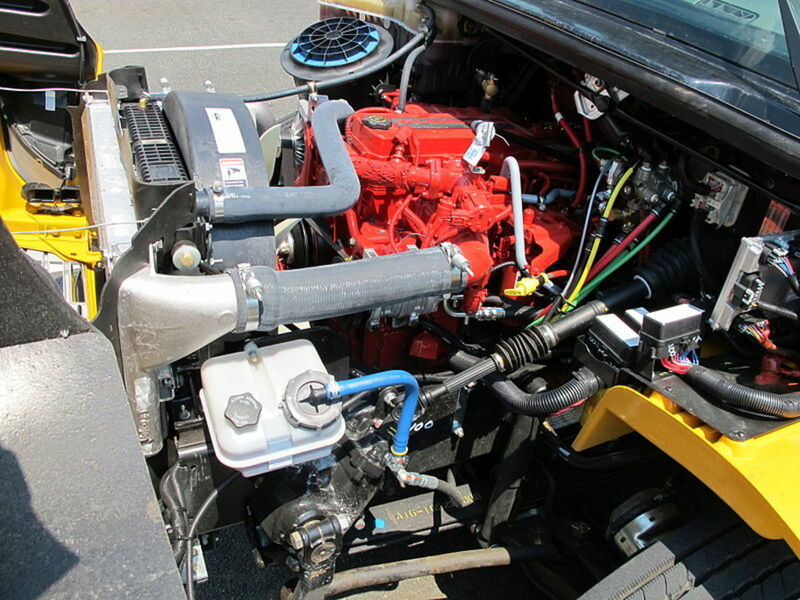 With most carburetors, hesitation problems during acceleration are caused by idle mixture problems. This can be fixed by doing a rough adjustment. First, locate the idle mixture screw. Consult your repair manual, if necessary. Bottom the idle mixture screw, but don't force it or you may break something. Then back out the idle mixture screw about 2 1/2 turns. Start and idle the engine. Make the final adjustments until you get a smooth idle. This system uses an accelerator pump to push extra fuel into the air horn to enrich the mixture when the driver steps on the accelerator. 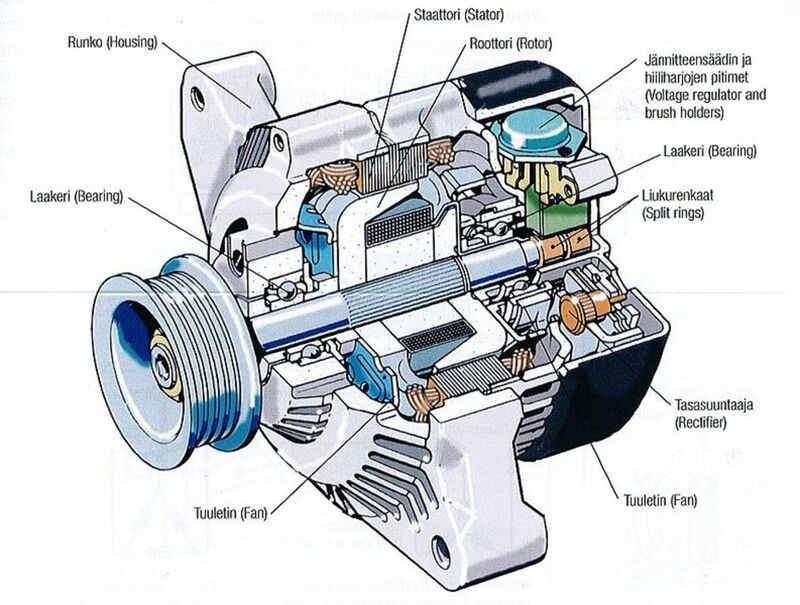 Most carburetors use a piston or diaphragm type pump. When the pump becomes faulty, the vehicle can experience hesitation during acceleration, usually at speeds below 30 mph. Warm the engine to operating temperature. 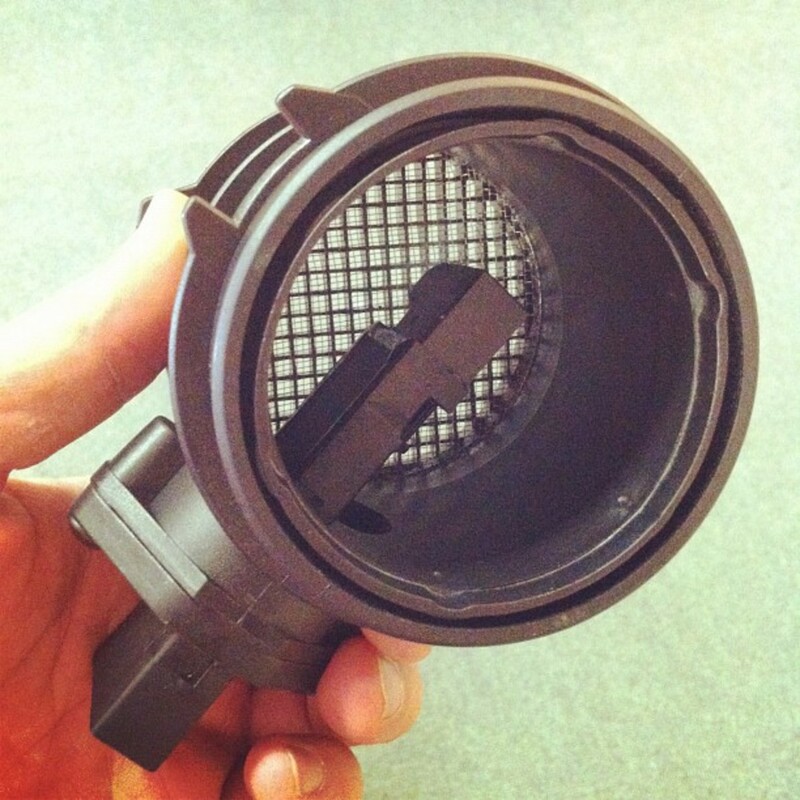 Turn off the engine and remove the cover off the air cleaner assembly (air filter housing). Manually operate the throttle valve or plate while looking inside the air horn of the carburetor. You should see a healthy stream (or two streams, depending on the number of barrels) of fuel spraying into the air horn as the throttle plate is operated. The stream will continue momentarily if you leave the throttle wide open. If you see a weak stream of fuel, check the accelerator pump. On piston-type accelerator pumps, the amount of fuel injected may depend on the size and length of piston travel. 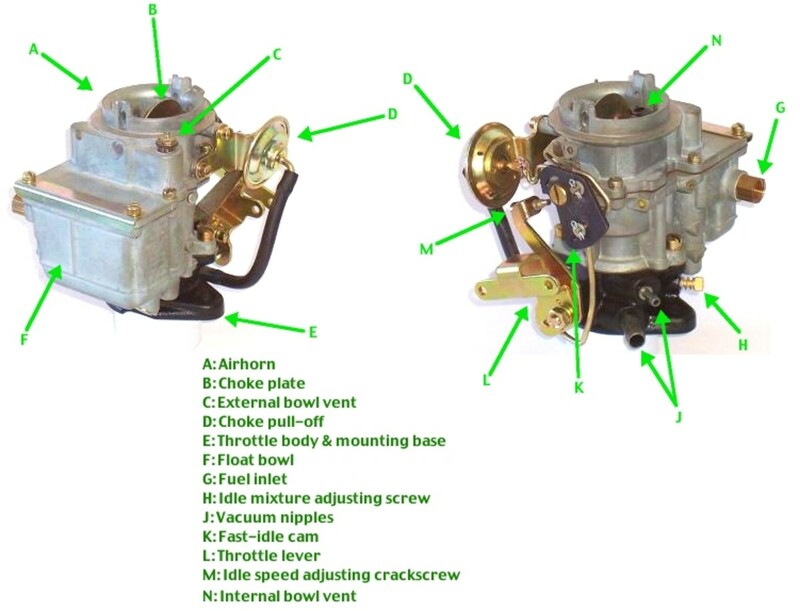 Also, some carburetors incorporate a bypass controlled by a thermostat that can direct some fuel back into the bowl under certain engine temperature conditions. Check your vehicle repair manual for a better understanding and diagnosis of the accelerator pump in your particular vehicle model. On some models, you can adjust the pump by readjusting linkage rods and repositioning rods. However, some carburetor models control the pump with vacuum as well. Check your repair manual, if necessary. Another reason that may cause the engine to hesitate is a dirty carburetor. If you are dealing with a dirty carburetor and you suspect parts might need replacing, it is probably a good idea to rebuild the carburetor using a kit for your particular model. Soak the carburetor and parts in carburetor cleaner. Dry parts with compressed air only. Compressed air will help clear small passages. Don't use wire or drills because you may scratch or enlarge passages, upsetting carburetor operation. Also, check for throttle valve play. Adjust components as necessary during reassembly like float level and drop, idle mixture screw, choke linkage and spring, antistall dashpot and accelerator pump. 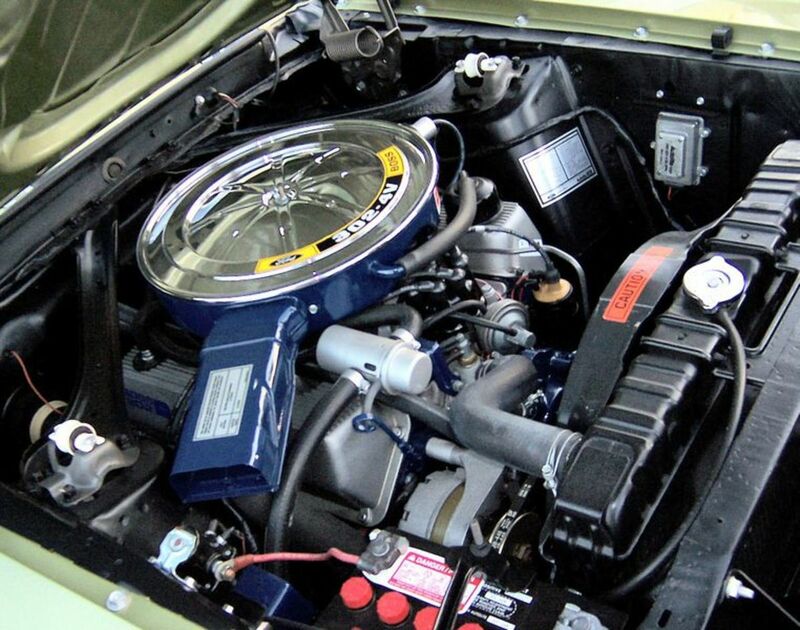 If you believe the accelerator pump is working correctly and the carburetor looks relatively clean, you may be dealing with a float level in need of adjustment. Adjusting the float level usually is done by setting the distance between the float level and air horn cover. Most likely you'll need to bend a metal tang on the float. You'll also need to check the amount of fuel in the bowl by the time the needle valve closes. Consult your repair manual for specifications and proper adjustments. 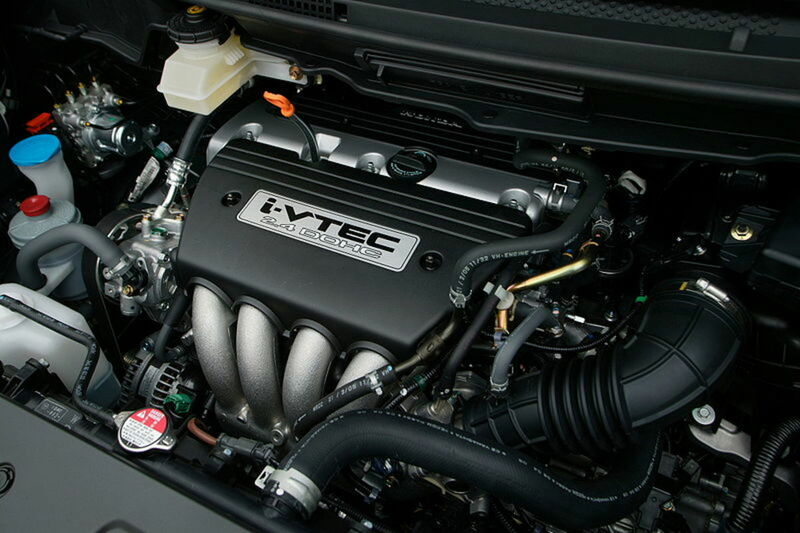 If your car engine hesitates during acceleration, do not wait to diagnose the problem. It not only can become worse but it's unsafe. Commonly, this performance problem is due to a particular system that have been neglected. So check those parts and systems described in this post for the common causes to help you fix the problem faster. In most cases, you can do the repair yourself at home and save money as well. A weak spark or misfire can certainly make an engine lose power.